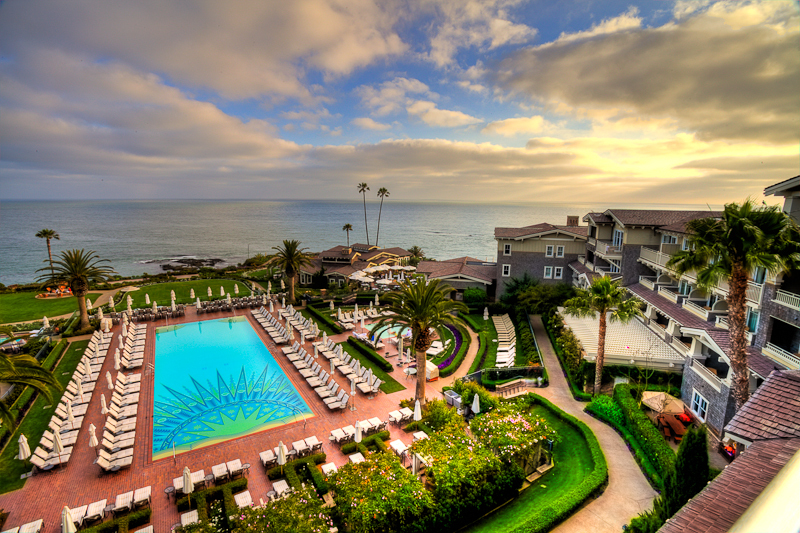 On memorial day, we decided to visit the Montage Resort in Laguna Beach. I hadn’t been there in a while and this time I brought my camera. When we first got there, we got a couple mojitos at the bar in the lobby then proceeded to the balcony that overlooks the ocean, pool and resort. Ever since the first time I was here, I thought that it reminded me of a resort I stayed at in Cabo San Lucas. The sun was hiding behind the clouds but it still made for a great shot. 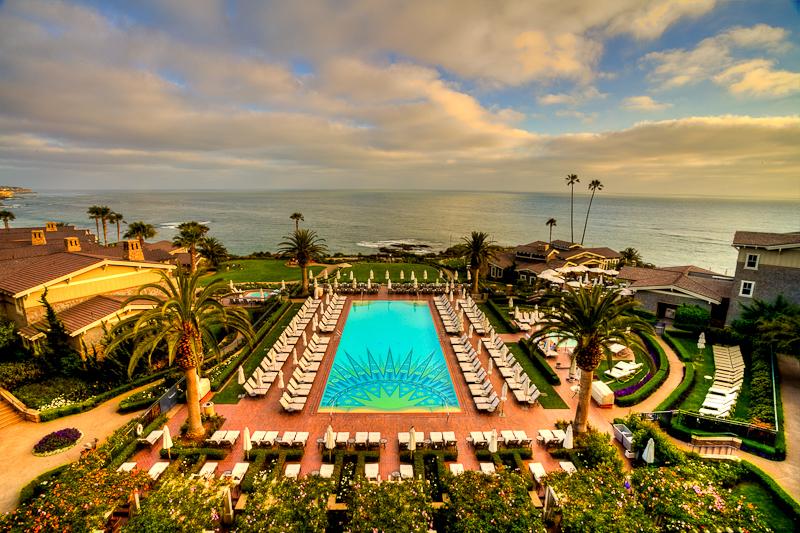 The pool situated in the middle of the Montage Resort in Laguna Beach. 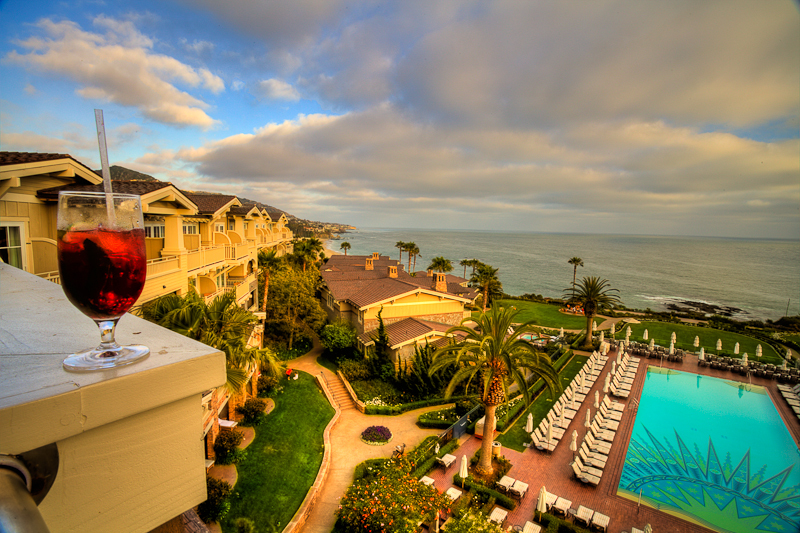 Panorama view of the Montage Resort in Laguna Beach from the balcony. This last photo was taken right before they asked me to stop taking photos. What I find interesting was that they stopped me when I was on the public walk way. Too bad for them, I already got the shot. This entry was posted	on Wednesday, June 2nd, 2010 at 3:41 pm	and is filed under Photog. You can follow any responses to this entry through the RSS 2.0 feed. You can leave a response, or trackback from your own site.